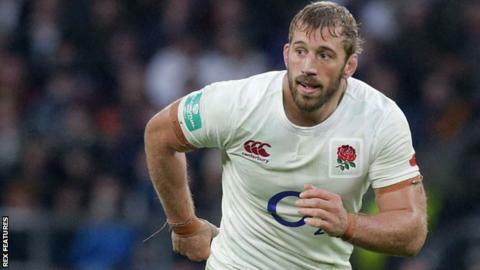 Harlequins flanker Chris Robshaw has returned to non-contact training less than eight weeks after having an operation on a shoulder injury. The 30-year-old England international had surgery on 9 January which ruled him out of the Six Nations. Quins hope that Robshaw, who has won 55 caps for England, will return to first-team action at the end of the month. "We are taking things day by day with Chris," director of rugby John Kingston told the club website. "He has been going very well in his rehabilitation and training and I'm looking forward to his return."